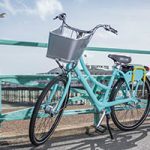 The Brighton bike sharing scheme which started six months ago is Britain’s most popular bike sharing scheme outside London, new figures suggest. More than 22,000 people have made about 120,000 trips and cycled 225,000 miles since BTN BikeShare began on Friday 1 September. 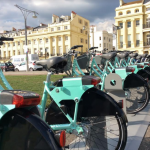 The seafront has been the most popular route and is well served by some of the scheme’s 49 docking stations and 450 “Life Bikes”. 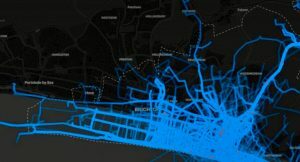 But a heat map suggests that plenty of students have used the bikes to get to and from university – and rides around Hove Park have also proved popular. 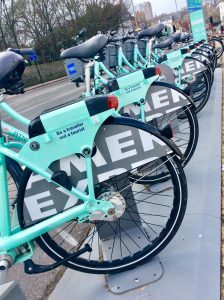 Councillor Gill Mitchell, who chairs the council’s Environment, Transport and Sustainability Committee, said: “It’s great that so people are using the bike share scheme to get around the city. “Cycling has become a popular mode of transport in Brighton and Hove. It’s often the quickest way of getting from A to B and a good way to sightsee. One regular, Louis Kirby, 27, an engagement worker with community interest company Justlife, said: “Over the past 10 years I’ve seen lots of changes and improvements to Brighton and Hove but the BTN BikeShare, for me, is by far the best. “My job means I’m out and about a lot, often needing to get from one end of the city to the other. The scheme cost £1.45 million to set up, including the infrastructure, with the local enterprise partnership Coast to Capital awarding a grant of £1.16 million. 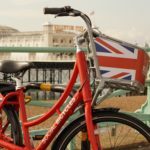 Brighton and Hove City Council added £290,000 and contributions from the scheme’s sponsors, American Express and Life Natural Spring Water, help with the running costs. The bikes cost 3p a minute to rent with a £1 daily minimum charge and £12 daily maximum or a £72 a year membership which offers an hour free every day. Splendid. This confounds all the moaners and doom-mongers. 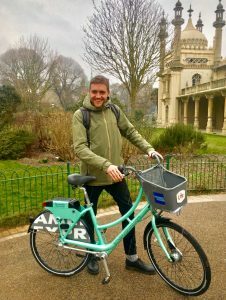 In April 2013, Ian Davey, the city council’s transport committee chairman said that a bike-hire scheme has been dismissed for Brighton and Hove because it is too hilly. 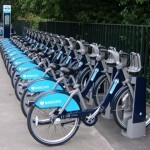 Then in March 2015 the council announced that the city had received a £1m government award for a Boris-bikes style scheme. So, in fact the main doom-monger was former Green Party councillor Ian Davey! It’s good to see the Green’s backing it being a success and a failure so they could claim the kudos whether it did or did not succeed. BTW – whatever happened to your fellow ex-councillor Ian? Could it be that the only people using the bikes are those along the non-hilly sections? But good to see people cycling around Hove Park – so actually not saving any car journeys at all. And best of all the scheme is supported by a very non-ethical “water in a plastic bottle” company. Great news, and in line with predictions so that’s one-nil for the experts (confession – that includes me) against the anecdotists. As for Pavilion Gardens – yes, cycling is banned (on flimsy ‘evidence’) but of course in the picture he’s not riding. Can you elaborate? How many of these incidents have you seen and have you reported them? Christopher – why haven’t you responded to my earlier comments but found time to respond to this?